Warli painting is a style of tribal art in India. The simple pictorial language of Warli painting is matched by a rudimentary technique. The Warli only paint with a white pigment made from a mixture of rice paste and water, with gum as a binder on dark red-black background. A bamboo stick is chewed at the end to give it the texture of a paintbrush. Some of my festive Rangolis.. 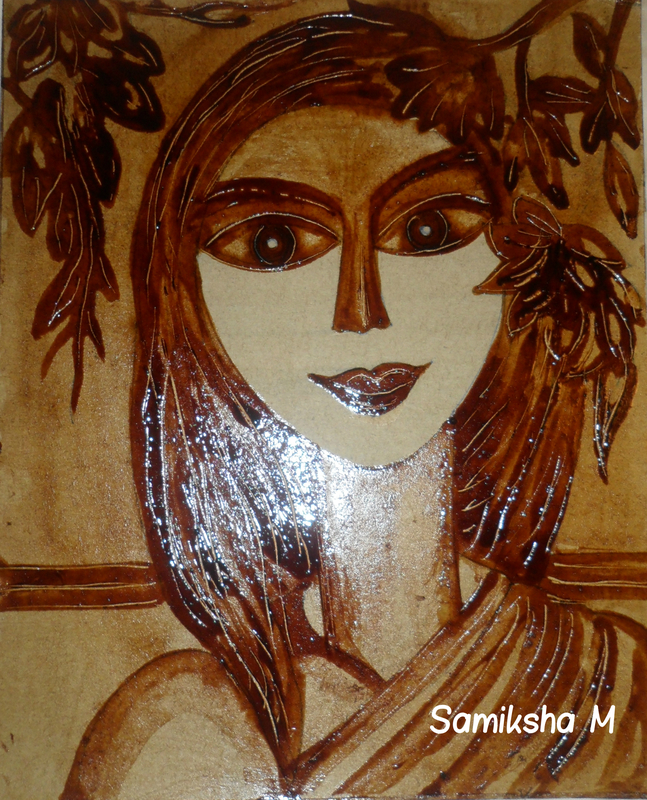 This one is an abstract of a lady painted with coffee….